Richard J. Rybczynski passed away on Sunday, March 24, 2019 at Yale New Haven Hospital. Richard was born in New Britain, CT on April 22, 1944 and resided in New Britain all of his life. 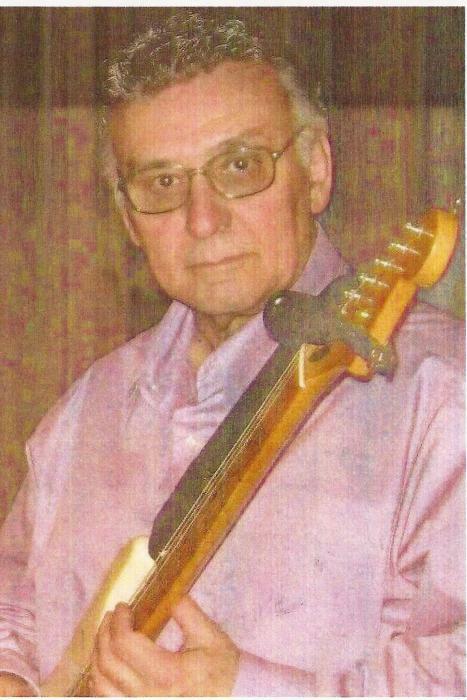 Richard was the founder, manager, lead guitarist, vocalist, and harmony coordinator of the Sharades, an oldies band playing music from the 50's, 60's and more. Richard founded the Sharades in 1981 and continued to play with them up until the end of 2018. He was also a member of WGAF Band and had the honor of playing with and backing up so many other great bands including the Crown Imperials. Richard and his beloved wife are the founders of Ruby TLC Fur Baby Rescue. Together they dedicated their time to rescuing cats and other animals in New Britain and all over the state. They have helped hundreds of cats and kittens regain their health and find their purrrfect furrever homes. His unconditional love for his wife and soulmate Jodi, his music, and helping animals was inspiring to everyone who met him. He will be severely missed by his loving wife, his family and his many friends. A service will be held for Richard on Saturday, April 6, 2019, at 1:00 PM at the Berlin Memorial Funeral Home, 96 Main St. Kensington. Friends and family may call at the funeral home on Friday, April 5, 2019 from 6:00-8:00 PM. In lieu of flowers please send contributions to Ruby TLC Rescue 107 McKinley Dr. New Britain, CT 06053.